Deliver operational insights faster to business users, at minimal cost, without compromising existing data governance. 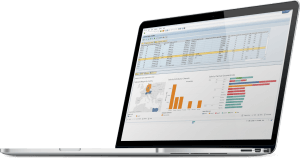 Data Unfolder is a self-service solution that unlocks SAP data by letting business users extract standard and custom reports, tables, views and queries to their favorite platforms like Tableau, Hadoop, Amazon AWS and more. SAP reports are great when it comes to operational data, but it’s hard to truly understand numbers without proper visual representation. 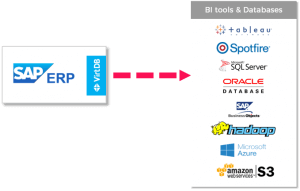 InstantInsights combines the capabilities of the best BI tools like Tableau, Qlik and Spotfire and one of the leading ERP tools: SAP together.